When you know what really creates anxiety, then it’s easy to determine the most effective way to get rid of it. Honestly, none of these things in and of themselves can create anxiety. What creates anxiety is your thinking ABOUT any of the things above. What you think determines what you feel! 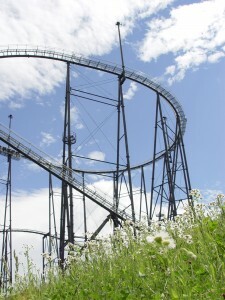 Imagine Joe and Mary at an amusement park staring at a huge roller coaster. Joe runs as fast as he can to get in line to ride the rollercoaster. He looks up at it with a big smile. Clearly he is feeling excitement. Mary walks slowly and hesitantly to get in line. Mary’s face looks concerned and very serious. Clearly she is feeling anxious. But if they’re both in line for the same roller coaster how can they be feeling so differently? 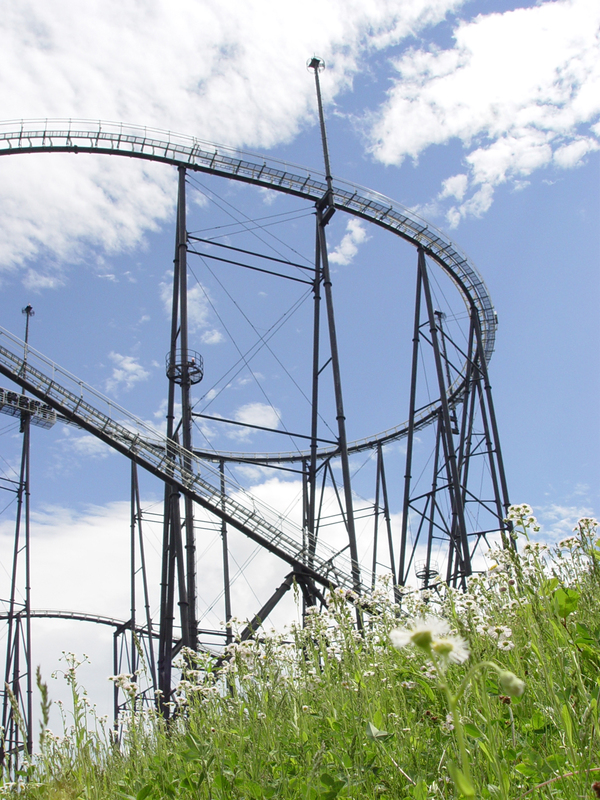 Is it the rollercoaster itself that is making them feel differently? No, of course not. Joe’s thoughts: Wow, this will be fun! I can’t wait to try this! Mary thoughts: That thing is huge and people are screaming. Is this really safe? Will something bad happen? External situations or people do not create your anxiety. Your thoughts ABOUT the external situations or people create feelings of anxiety. Anxiety always works this way. Can You Think Thoughts That Feel Better? If you’re feeling anxious ask yourself: “What am I thinking right now that is causing me to feel this way?” Thinking different thoughts will create a different feeling. But that’s not easy, is it? If it were that easy, you’d already be thinking differently and you wouldn’t have anxiety. One reason it’s hard to change anxiety thinking on your own is that anxiety thoughts often occur in your sub-conscious mind. So that’s why you’re not always aware of what’s causing the anxiety. 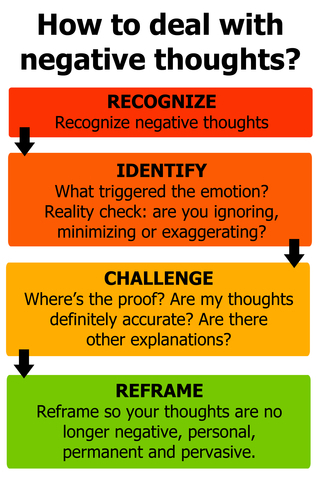 Cognitive Behavioral Therapy (CBT) helps you become aware of those thoughts so you can consciously change them. 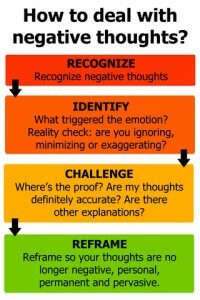 CBT is a very specific process and set of techniques to train your brain how to think different thoughts. Learning how to change your thinking through CBT literally changes the neural pathways in your brain and rewires your brain to think differently. That’s why it is the most effective long-term solution for many forms of anxiety. 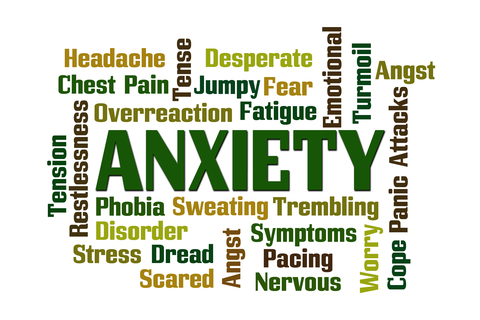 Research shows that 60–80% of people with an anxiety problem who complete CBT with a CBT therapist will experience a significant reduction in their anxiety. This is very often better than the effectiveness of medication. 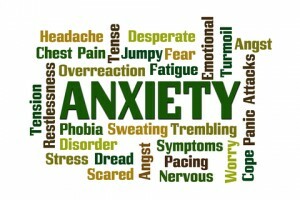 Medication is designed to address the resulting SYMPTOMS of anxiety (such as tension, nervous stomach, palpitations, sweating, dizziness, etc) so it is generally a reactive approach. On the other hand, CBT is proactive because it addresses the root cause of the problem to prevent the symptoms from popping up in the first place.